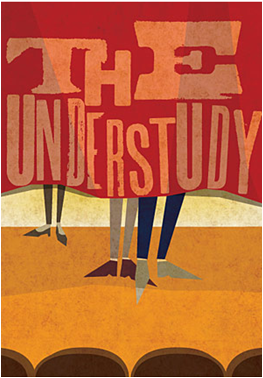 CB and I saw Theresa Rebeck’s very funny The Understudy at the Roundabout Theater. It’s a three-hander starring Julie White, a comedic actor who’s a pretty big deal in the theater community, and Justin Kirk, who stars with my pretend girlfriend, Mary-Louise Parker, in Showtime’s Weeds. It’s the final week for this play, which opened in early November. I actually saw it back in October when it was still in previews but it was so good, and I had such a nice time, that I felt it was worth a second look. Their performances were just as fresh as the first time. It amazes me how actors are able to do the same material night after night, month after month, and can still make the dialog seem spontaneous instead of scripted. The audience laughed just as hard the second time I saw it as they did the first. That can’t be accomplished with the script alone. It’s all in the delivery. The final fade-out was surprisingly touching. This is my first play of 2010. I managed to see 29 plays in 2009 (yes, I keep a list) which is about 29 plays too many for most people. I get that. The theater has limited appeal but it got under my skin years ago when I moved to New York and I still find it to be an interesting night out. We recently bought the soundtrack to the Broadway musical Wicked for 8-Year Old Daughter. It’s one of the most shrill, ear-piercing, annoying soundtracks I’ve ever had to suffer through. Each song comes to a deafening crescendo by one of the two leads. Mrs. Wife and I saw Wicked when it first opened and enjoyed it, but the soundtrack is proof positive that, unlike The Understudy, not everything on stage needs to be, or should be, revisited. i’ve not seen “Wicked”, but would like to read the book. Why not see it? i’ve hear FAAAAAAAAR too many butchered versions of “Popular” at community theater auditions. i think the soundtrack could have been used at Guantanamo, had they not been averse to life-threatening forms of torture…. I saw Wicked over the holidays and remembered again why generally I hate musicals. Shrill singing when normal conversation would do. The only musicals I can wholeheartedly embrace are Fiddler on the Roof & Cats. Daisy: It’s actually not a bad play to sit through. But I wouldn’t recommend the soundtrack, even for the most hearty of thespians.Elle: There’s a ton of really good musicals out there. Sondheim’s Sweeny Todd is pretty awesome, as is West Side Story. Avenue Q made me laugh pretty hard. I find most soundtracks to films, musicals, anything, really quite annoying. They’re never as good when they’re out of context. Apart from the Garden State soundtrack, that’s good. Example of a bad soundtrack IMO is the music from Slumdog Millionaire. Sounds great on screen and lifts what is otherwise a fairly medicore film. But on its own, it’s boring, boring boring. Weird. Random. Listened to it once, and not even all the way through. Think I saw one whole play this year. They was delivered in ALL SA’s 11 official languages and they butched up the Afrikaans language.